Deadline for Cazenovia and Corning Preservation Planning Workshops Extended! A Preservation Plan is an essential institutional document that helps collecting institutions thoughtfully and carefully chart a course for the preservation of their collections for five to ten years. Without planning, it can be nearly impossible to effectively budget for staff time and resources. As a result, the care of priceless collections can suffer. This workshop will provide guidance on how to create a Preservation Plan and will provide participants with the opportunity to explore sample plans as well as practice creating goals, objectives, and strategies to make an effective plan. 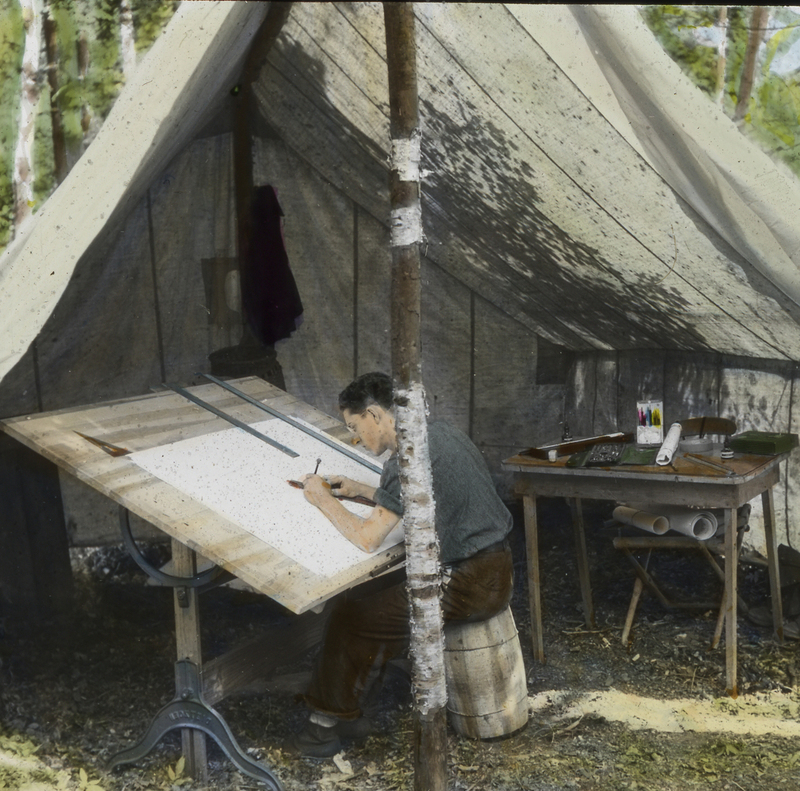 "College of Forestry student seated in tent in Huntington Forest” State University of New York, 1925.